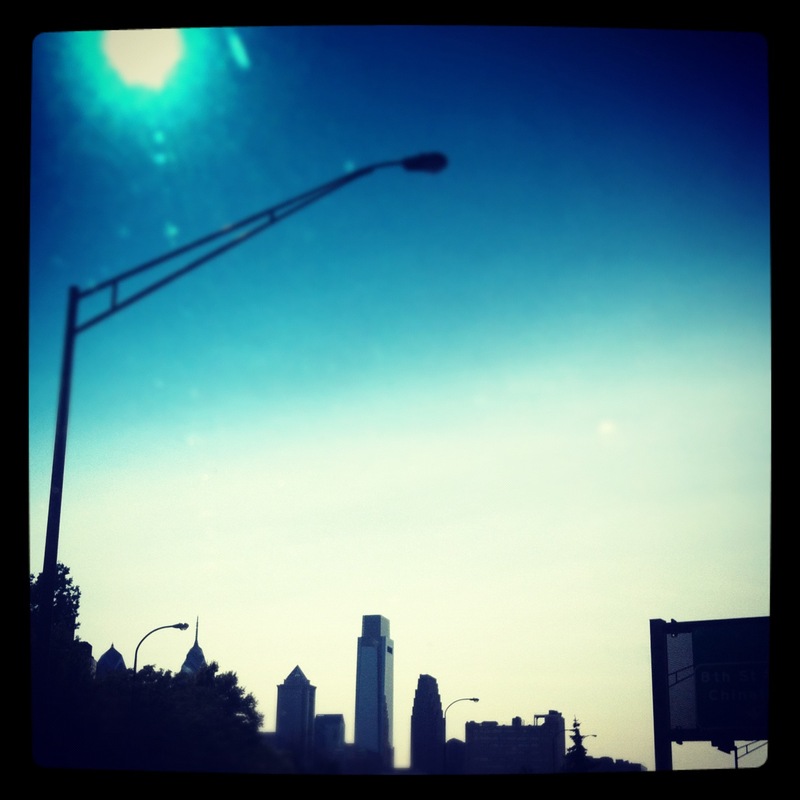 I hated Philadelphia for a while. People weren’t as nice as they are in the Midwest, where we take bullets for strangers. They were a little more blunt than I was used to. In my apartment, the cockroaches were bad and the mice were worse. I started to hate even the silly things, like how Philadelphia people smothered mustard on hot pretzels. For the love of G, I just wanted some nacho cheese. I grew particularly frustrated one day. It was a Friday and I had the day off from work. Gray clouds blanketed the sky. It drizzled off and on, and temperatures were low for late June. I took the SEPTA from my apartment to downtown and just started walking. I had no destination in mind. I don’t think I had a map or anything. It was like the scene from Forrest Gump where he just takes off running, except I didn’t have enough hormones to grow a beard yet. My legs felt like they were going to fall off, but I had to keep walking. Italian flags were unfurled outside windows. Large barrels of ice entombed fresh fish. Churches appeared on what seemed like every block. Music played that sounded Central American but had to have been Italian because I realized I had inadvertently stumbled onto the Italian Market area of town, on the south side of the city. A little farther down the road, I saw Geno’s, and Pat’s. I’d gone a month in Philadelphia without buying a cheesesteak. I went to Pat’s and ordered one wit cheese whiz and witout onions. Delicious. I sat on a bench, reading my book and watching some younger people play basketball at the nearby park. I arrived home exhausted. One of my roommates was watching “The Flight of the Concords,” which had just debuted on HBO. I started watching with him and his friend. Those of us who dwelled in that decaying apartment were more diverse than the cast of Degrassi. I had set up the summer sublet from a Penn student named Michael, who was a member of Opus Dei*, and was sleeping in the room that had previously been Ibi Jabber’s. Jabber played basketball for Penn and was currently trying out for some NBA teams. Some of his oversized sneakers were still spread out on the floor of my closet. *I can only assume he was an Albino monk who stabbed himself with a cilice in his spare time because everything Dan Brown writes is gospel. My roommates were Brandon, Cameron, Jack and Sean-Tamba. Brandon was a fellow intern at the paper. Cameron played basketball for Penn and spent half the summer in New York interning for Goldman Sachs. Jack was an incoming freshman basketball player. Sean-Tamba was the president of the UPenn college republicans. He was black, from a Catholic school in Cleveland. He loved country music and much more embarrassing fare. Sometimes he would fall asleep listening to Fergie, though he swore to me that wasn’t the case and I was hearing things. I went to sleep that night after exploring the city and didn’t even care about who might be smoking crack outside the window or what type of roach was planning to wake me up in my sleep. Philadelphia was growing on me. Without knowing much about the differentiation of neighborhoods, I had walked through several of them – University City, Center City, Passyunk, Society Hill, Queen Village, Italian Market, Rittenhouse Square etc. – in an afternoon. In the years since, when I’ve thought of Philly, I’ve always thought about that long walk through the city and those roommates. All cities have their charms, but Philadelphia brings so much diverse people, communities, architecture and geography together in a compact place. At Billy Penn, I really think we’ll be able to tap into all of these communities and people and provide news that contributes to the well-being of all of them and to the city. I can’t wait to get back to Philadelphia.